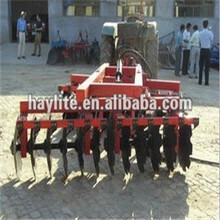 It is a fine seeder with seeding grains one by one. 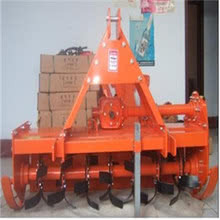 It can complete the work of loosing soil, digging, applying fertilizer, seeding, covering and pressing in one operation. Sowing by weight, no damage to seeds. High precise seeds clearance, evenly sowing stale, seeds saving and less thin out seeding. Adopt “zero speed”, equal potential energy, low position feeding sturdy, seedling spacing is even. 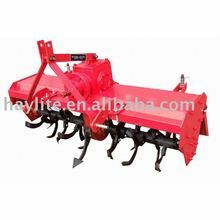 Mainly for sowing corn, can also sowing bean, cotton seeds, peanut and sunflower seeds. It has multifunction. 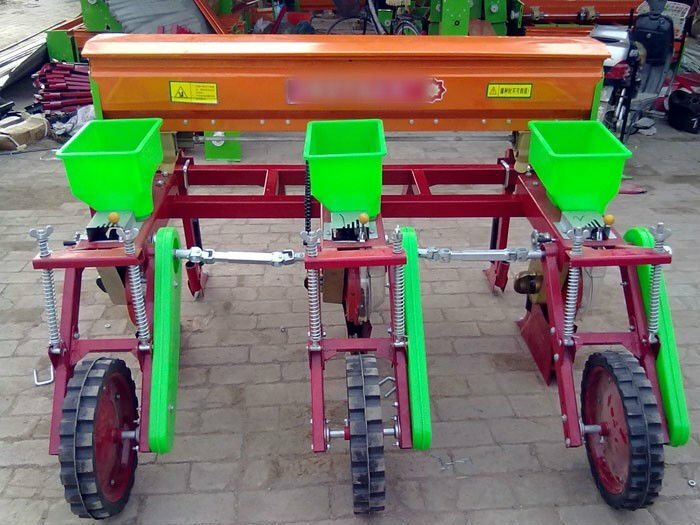 The machine can spread the basis fertilizer during planting, and can complete the suppression at the same time. Feed outlet is driven by gear. There is an anti-reverse mechanism at the inside of driving gear to avoid troubles arising from machine reverse turning. May adjust rows spacing by adjusting different driven gears. Can pick out the whole disc cover when clear the seeds. Seeds clearance is convenient and thoroughly. 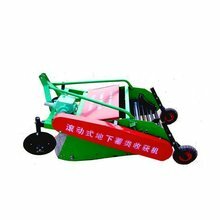 The machine have the characteristics of narrow trenching, moisture, and the fertilizers front, side spreading is spreading is suitable the machine can match a wide range of tractors.